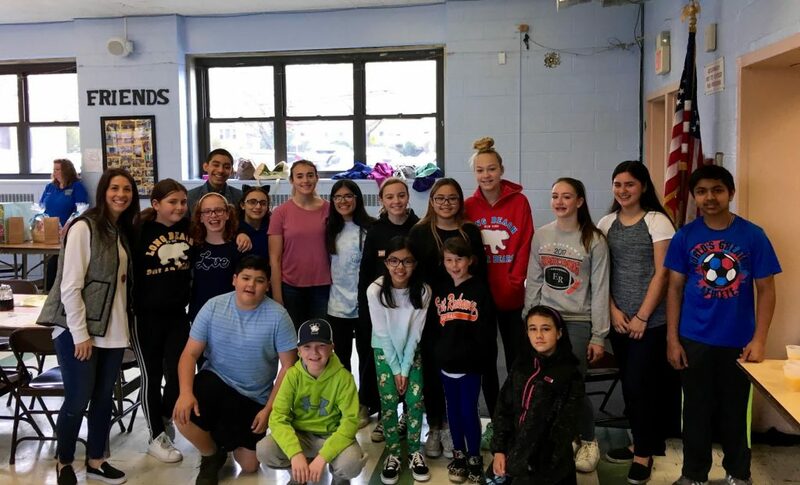 Rhame Avenue School K-Kids Club teamed up with members of the East Rockaway Junior-Senior High School Builders Club to volunteer at the East Rockaway Kiwanis Club Pancake Breakfast on April 29. The members helped by serving breakfast and cleaning up after the event. All proceeds from the breakfast go towards the Kiwanis Scholarship Fund for East Rockaway Schools. Photo Caption: Rhame Avenue School K-Kids Club and East Rockaway Junior-Senior High School’d Builders Club volunteered at the East Rockaway Kiwanis Club Pancake Breakfast.